"2 A.M. at The Cat's Pajamas" by Marie-Helene Berlimo, narrated by Angela Goethals, audio narration published by Random House Audio on August 5, 2014. This book. I had such high hopes! It's a slim little volume, and in retrospect I think I would've appreciated it more in print. It takes place in present day, but for some reason (probably because it's centered around an aspiring jazz singer), I thought it was set earlier. I was confused by references to modern day, and it took me a bit to get over that. I like Madeleine, the nine-year-old jazz singer at the center of the story, and her teacher Sarina Greene, but many of the other characters fell a bit flat. The voices used for the club owner and his friends were a bit grating. It's clever how it all comes together, and I like the timeline structure of the novel a lot. Yet, I expected more from this due to the high praise it received. "Ruby" written and narrated by Cynthia Bond, audio narration published by Random House Audio on April 29, 2014. "Ruby" was easily my biggest disappointment of the break, but it was mostly my fault. I trust Oprah's book recommendations implicitly, and have never been led astray. As a result, I didn't read any descriptions of this before requesting it from the library. 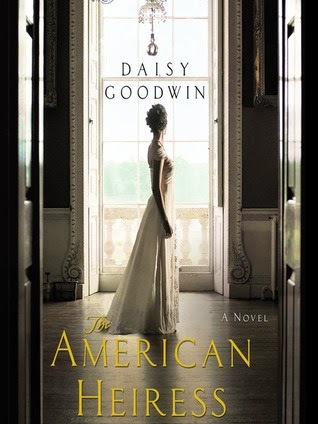 Unfortunately for me, there's a heavy dose of magical realism and mysticism throughout this novel that spoiled the otherwise heartbreaking love story. The novel explores resiliency in the face of the tangled web of horrors that people inflict on each other and perpetuate toward others. The love story between the main characters was beautiful, and I only wish that my personal dislike of magical realism didn't get in the way of what otherwise would have been a powerful read. 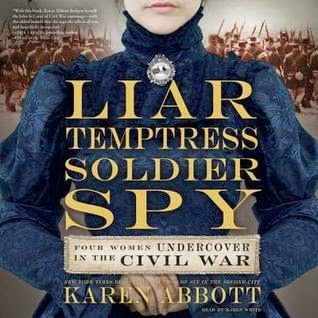 "Liar Temptress Solider Spy: Four Women Undercover in the Civil War" by Karen Abbott, narrated by Karen White, audio narration published by Harper Audio on September 2, 2014. My audio loan expired halfway through listening to this nonfiction book earlier in the semester. I was so bummed to have to get to the back of the line to finish it! It's a fascinating book, telling the story of four women who were worked as spies and soldiers on both sides of the American Civil War. I only knew the cursory details of the War that I learned in middle and high school, so I appreciated the depth and detail provided in this book. It really reads like a novel, complete with dialogue Abbott found in the women's diaries or other written accounts by those who encountered them. For a thick book, it was a fast, easy listening. I was spellbound by these strong women's true stories, and highly recommend this to non-fiction and American history fans. Back from my trip to Florida, I've been finishing up some books I started on the trip. 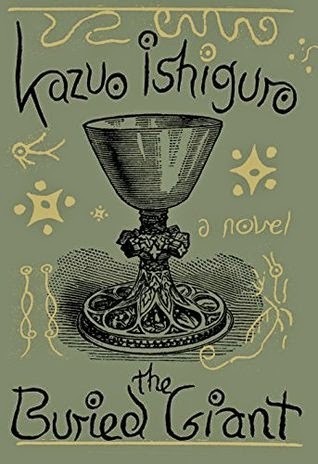 I'm slogging through "The Buried Giant" by Kazuo Ishiguro in print, and I'm disappointed that 100 pages in, I'm still not hooked. 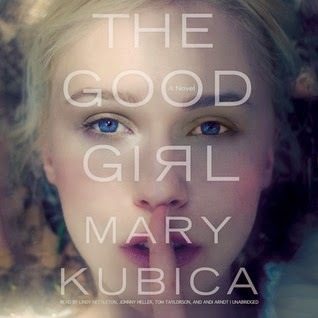 In stark contrast, "The Good Girl" by Mary Kubica in audio is fantastic, and I've been listening every spare minute. I'm also working on "Find Me" by Laura van den Berg in ebook. Book Riot rounds up some bookish cross stitch projects. Katherine Trendacosta explains why she re-reads at io9, while Susie Rodarme cautions on the perils of re-reading at Book Riot. The best independent book stores in NYC at New York Racked. This book was all over bookstagram last year, and after my ebook hold finally came through, I tore through it. This novel deserves the awards and acclaim it received. Jude and Noah are artistically-inclined twins, the product of a whimsical free-spirited mother and an athletic, by-the-book father. Guided by their mother, they plan to apply to an arts high school. Flash forward, and their lives look remarkably different - their mother has died, only Jude is at the arts school, and Noah is acting shockingly normal. Jude and Noah each have their own secrets, tragedies, and wrongs committed. 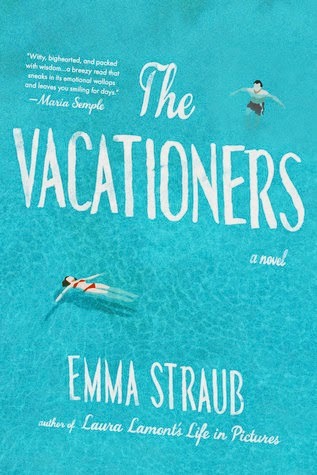 The novel alternates between Noah's POV before their mother's death, and Jude's three years later, as the twins navigate the gradual unveiling and untangling of their secrets, come to terms with their losses, and find each other again amid the chaos of being teenagers. Nelson gives Noah and Jude such unique voices. Her use of language, with Noah viewing the world through an artist's eye and Jude through her grandmother's folksy charms and suggestions, originally caught me off-guard but grew to be one of the features I most enjoyed. I only wish there was artwork to compliment Noah's vivid description. This book is begging for an illustrated version. From a plotting perspective, the way Nelson balances the two timelines to manage the secret reveals and creates dramatic irony adds to the suspenseful, heartbreaking tale. Jude and Noah's stories are so inextricably interwoven, and her careful crafting of the dual plot lines is awe-inspiring. Verdict: Affirmed, for fans of YA and family stories. This book surprised me in all the best ways - I had underestimated it, and it turned out to be much more than I had hoped. 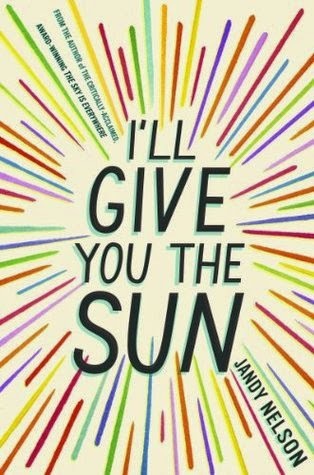 "I'll Give You the Sun" by Jandy Nelson, published September 16, 2014 by Dial Books. My spring break started yesterday when my last class ended. I'm headed to Florida for a quiet week visiting my grandparents. Eating an early bird dinner at 4pm just means extra reading time when I get home. There won't be any posts until I'm back, but before I leave I thought I'd share the books I've packed to read over spring break. How many will I actually get through? And how many additional books will I pick up in the many excellent used book stores in the area? I'll let you know when I'm back March 24! 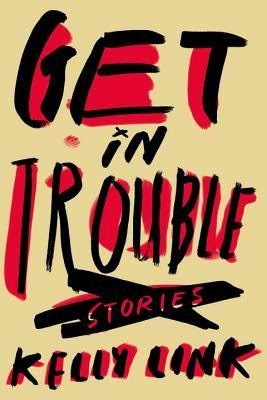 "Get in Trouble" by Kelly Link - I picked this up at the charming Spoonbill & Sugartown Booksellers in Brooklyn with a friend last weekend, and can't wait to dive into it. 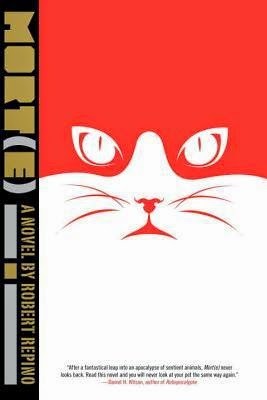 "Mort(e)" by Robert Repino - This quirky novel was recommended on Books on the Nightstand, so even though it's due back to the library two days before I get back from Florida, I decided it's worth the 50 cents to finish it - apologies to anyone else in NYC with a hold on this! 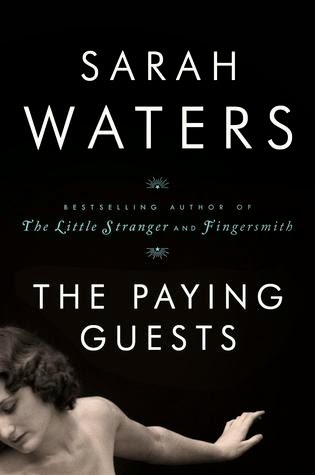 "The Paying Guests" by Sarah Waters - I fully expect to finish this audio book before my plane takes off on Monday. Even though it's long, I've been listening every free moment I have. 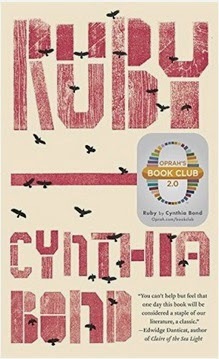 "Ruby" by Cynthia Bond - Oprah has only steered me wrong once with her book selections, so I'm happy this audiobook hold came through before spring break started. "The Buried Giant" by Kazuo Isiguro - I loved "Never Let Me Go," so I'm excited to see what Isiguro does in the fantasy genre. The LeGuin/Isiguro spat has only made me more interested. 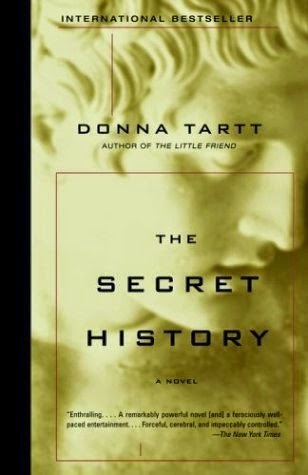 "The Secret History" by Donna Tartt - I love "The Goldfinch," so I've been saving this one for a week when I knew I'd have uninterrupted reading time. 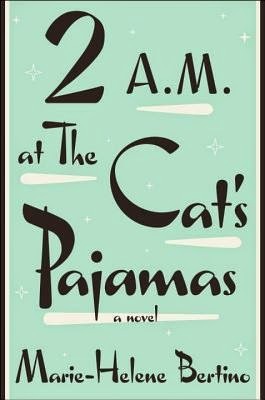 "2 A.M. at The Cat's Pajamas" by Marie-Helene Berlino - This one's been on my TBR for a while, so I was pleased it was available for download when I was browsing Overdrive for another audiobook to bring with me. The bookstagram community, or at least those I follow within that community, are big fans of Lauren Oliver. Her YA novels "Panic" and "If I Stay" pop up in my feed pretty regularly, and I've heard good things. So when I was browsing Overdrive for a short audiobook to listen to while I wait for some holds to come in, I recognized Lauren Oliver's name and decided to give this a try. "The Spindlers" tells the story of Liza, who wakes up one morning to discover that her little brother Patrick isn't himself. Someone is pretending to be Patrick, and her parents don't believe her. So, Liza embarks on a journey into the underground to rescue her brother from the spindlers - evil, spider-like creatures who feast on children's souls. Along the way she meets Mirabella, a rat who wants to be as human-like as possible and helps Liza navigate the underground and explains the other creatures and beings with whom she comes into contact. On a basic level, this is a solid adventure story - Liza is a charming heroine with an admirable resolve to rescue her brother at all costs, and Mirabella is a wonderful sidekick, providing guidance in a strange world and comic relief balanced with just the right amount of heart. I was particularly impressed that she did not descend into a slapstick, goofy character as a rat wearing a newspaper skirt easily could. Instead, Oliver allows the sympathetic, sincere elements of her personality to shine through. That gets at the deeper level that sets this story apart. Driving the adventure story are Liza's relationships - with her brother, whom she feels a responsibility to protect; with Mirabella, whom she comes to consider a friend; with her baby-sitter, who originally told her about the spindlers and is now away at college; and with her parents, who are distracted with grown-up, real-world concerns. Viewed through Liza's young eyes, her ambivalence or lack of understanding to her parents' concerns and her distress over her baby-sitter's absence ring true and firmly root the book in the real world. Oliver hints at the hope and love children can inspire in the older folks surrounding them, and parents and caretakers will recognize and respond to these tiny elements sprinkled throughout. Verdict: Affirmed, a charming tale to share with the children in your life, that you'll enjoy along the way. Plus, Simon Vance's audio narration is superbly done, as always. 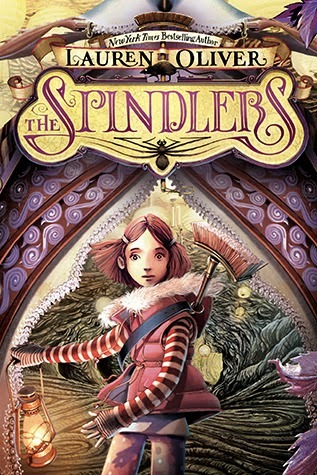 "The Spindlers" by Lauren Oliver, published on October 2, 2012 by HarperCollins; audio narration by Simon Vance, published on October 2, 2012 by HarperCollins.